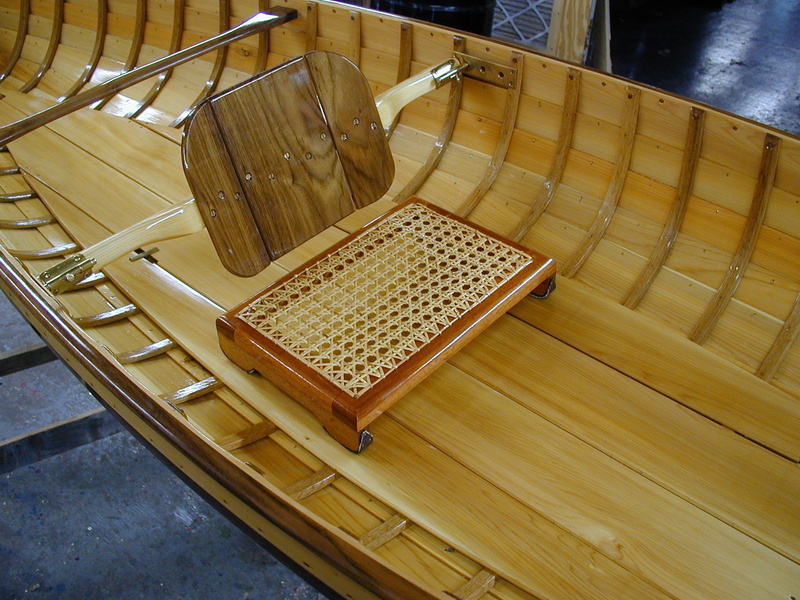 Popular Custom Options - Northwoods Canoe Co.
A very wide variety of wooden boat and canoe restorations have gone through the shop. They have come from all across North America, England, Germany and Sweden. 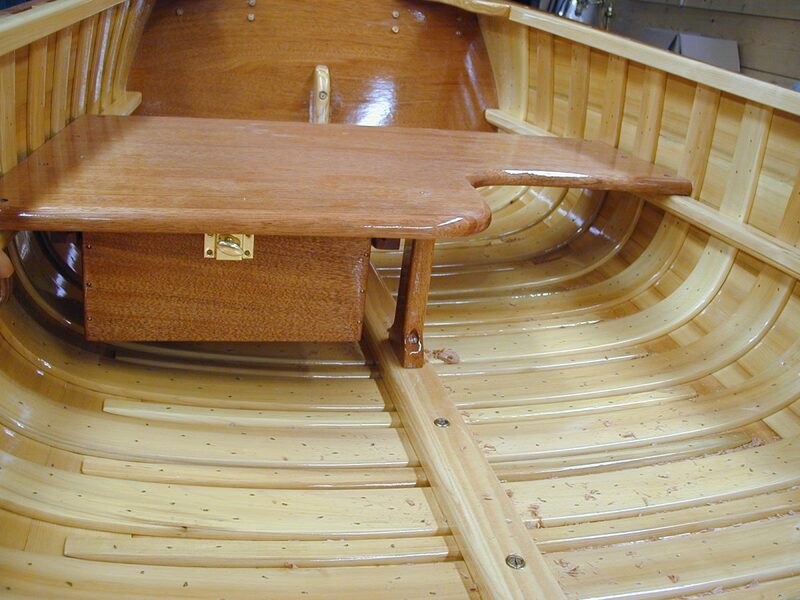 Its hard to find a small wooden boat/canoe type that I haven’t worked on! I’ve restored basket cases that have been over 100 yrs old that other shops turned down but hopefully your boat has received better care than that! While the shop strictly adheres to traditional construction methods and material, certain options are available to satisfy individual preferences. 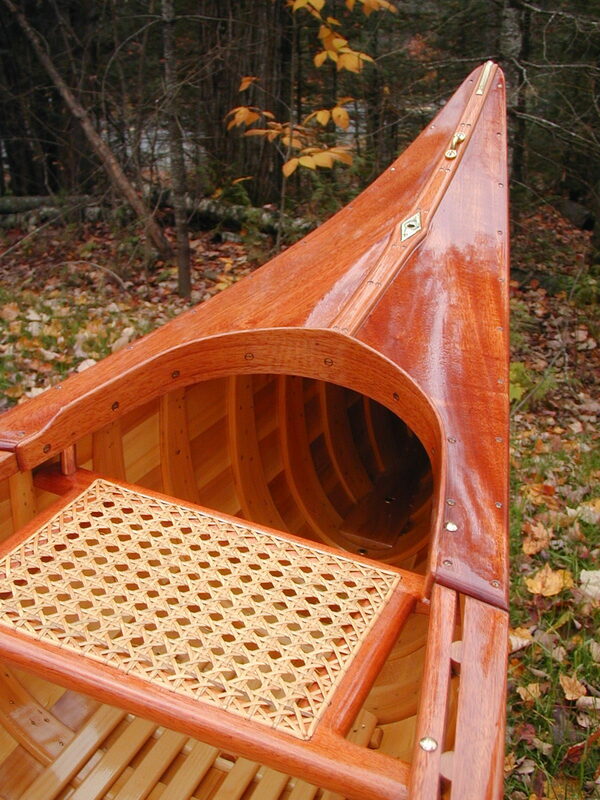 Contrasting wood colors often add a special appeal to a canoe. 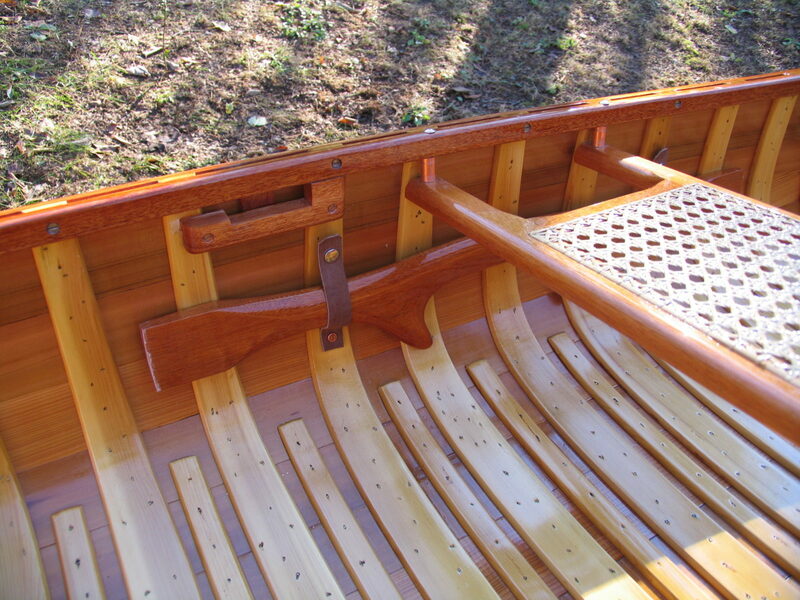 These include mahogany, walnut or cherry rails, thwarts and seats and half ribs. special light-weight models, durable and attractive shellac bottom paint, two-tone paint, outside stems, keels, and hand caned seats. 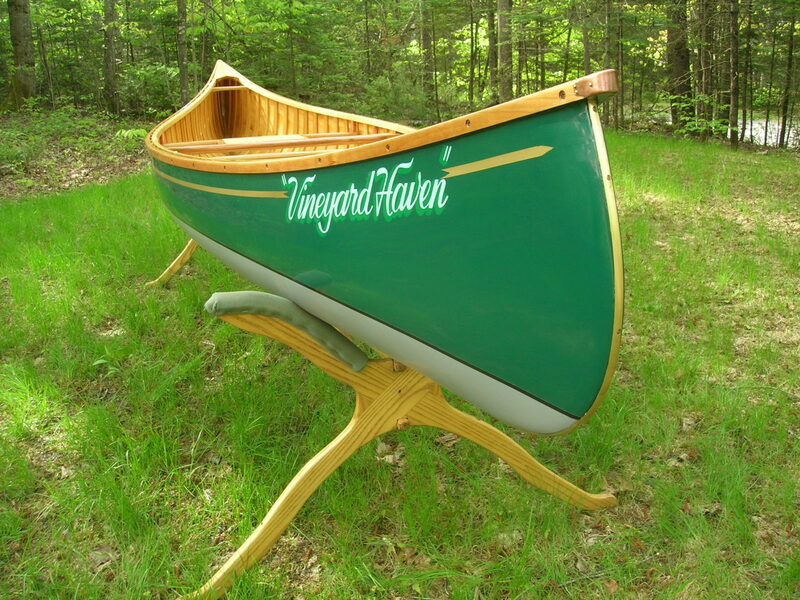 Many customers like to have special colors or designs on their canoes. 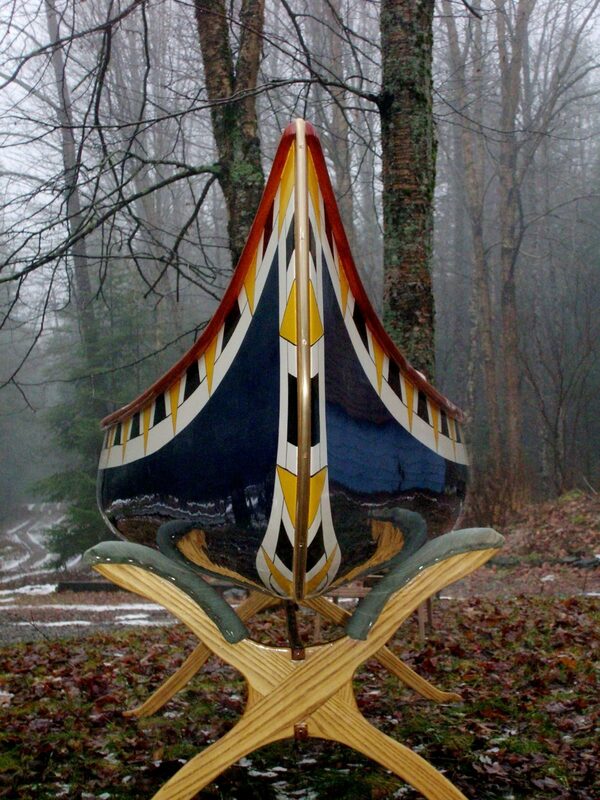 The Historic Old Town Canoe Co had over 100 standard paint designs that could get quite elaborate. We can reproduce any of those old designs or make a new one for you! 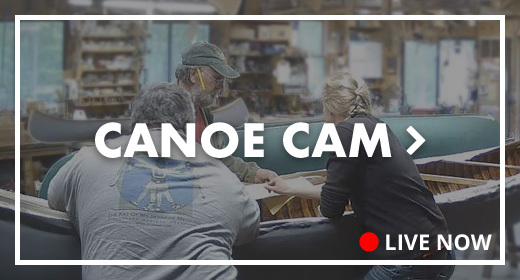 Please inquire about any additional options or additions that you may desire for your canoe. For extended decks, coaming and all other custom options, please contact us for custom pricing.